S – Sit on your board while waiting for the waves. P – Pace your time in the water. Limit it to 30 minutes. 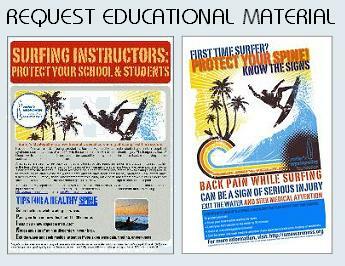 I – Insist on a knowledgable surfing instructor. N – Notice signs of pain and discomfort in your back. E – Exit the water and seek immediate medical attention if you experience pain or weakness.